Welcome to 365vet.co.uk, the dedicated veterinary prescription and non-prescription online store. Our UK based website specialises in providing pet drugs online, and is run by a practicing veterinary surgeon, supported by a team of dedicated and knowledgeable staff with years of animal health experience. We understand how important your animal’s health is to you and aim to provide a friendly and professional website, which allows you to make savings on medications requiring pet prescriptions. With our fantastic selection of both prescription and non- prescription pet medications for your pet’s health, we provide products for your cats, dogs and even horses. Purchasing your pet prescription medications from your veterinary surgeon may result in high costs, especially for an on-going condition. 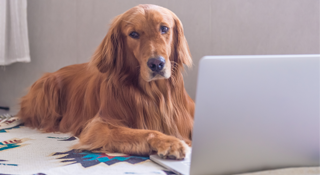 Due to a change in the law in 2006, with a written pet prescriptions from your veterinary surgeon, you can now purchase what you need online at a much reduced cost. Here at 365vet.co.uk you can find a variety of pet drugs along with other accessories such as pet food, dog shampoos, and household flea sprays. 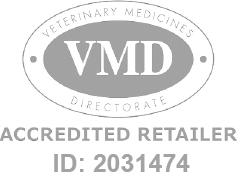 A veterinary prescription must be obtained from the vet to purchase any pet medicines online. A vet prescription is a document that is provided by your vet which details your information, your pet’s information, the pet medicines to be prescribed, the strength, amount etc. The purpose of the vet prescription is to safeguard your animal, as it proves that a vet has seen the animal and made a clinical assessment that the pet medication is appropriate. If vet prescriptions were not required by law to purchase pet medicines, this could lead to over dosing, under dosing or inappropriate use of pet medicines which could all cause great harm to the animal. There are many different types of animal medicines that require a vet prescription to purchase online; these medicines can range from preventative treatments for parasites to medicines that treat very specific conditions such as arthritis in dogs and cats. Arthritis in dogs and cats is a common ailment, which can be caused by a number of factors. The most common cause of Arthritis in dogs and cats is old age. Many dogs and cats over the age of 7 will become stiff, slow and weak in their movements, which are common symptoms of arthritis. This onset of symptoms in the older animal is simply caused by wear and tear on the joints over the years. There are other factors that can influence the onset of arthritis in dogs and cats, such as injuries. Those injuries involving bones and joints that may have occurred when the animal was much younger can greatly increase the chances of arthritis in older age. For example, cruciate ligament tears, and broken legs, which even when repaired, all add pressure to surrounding joints. In dogs, the breed can be important, particularly larger breeds, which are generally more susceptible to arthritis anyway. This is due to the extra strain and weight placed upon the joints with a larger heavier dog. Breeds prone to arthritis include, Labrador Retrievers, German Shepherd Dogs and Great Danes. Arthritis in dogs and cats can be easily treated with medicines known as NSAID’s (non-steroidal anti-inflammatory drugs), which can be prescribed by a vet. NSAID’s work by inhibiting the cells production of chemicals which trigger inflammation. By reducing the inflammation the animal is provided with increased comfort and less pain, which restores their freedom of movement. For this reason NSAID’s can also be used in dogs and cats to relieve pain and reduce inflammation after surgeries such as neutering or tumour removals. One of the most common NSAID’s used by vets is called Metacam. Metacam is long established NSAID that is widely used and trusted by vets to provide relief from arthritis in dogs and cats. Metacam prescribed by your vet usually comes in a liquid form and can therefore by easily administered to both dogs and cats by adding it to their food. A special syringe is provided with each bottle, which allows easy dosing using current weight of the dog or cat. Metacam also comes in palatable tablets; however these are not as popular as the liquid Metacam. Although Metacam for dogs and cats is a very safe drug, as with most medicines there can be some side effects that can occur in rare occasions. Known side effects of Metacam include kidney damage, gut ulceration and liver damage. The first sign of side effects in dogs and cats is usually vomiting or diarrhoea. If you notice any of these symptoms in an animal taking Metacam, immediately stop the treatment and contact your vets for advice. For these reasons, it is always important that your animal uses Metacam under the supervision of a vet. This may include regular check-ups, especially if your animal is likely to have on-going treatment with Metacam. Regular check-ups and medication bills for any animal using Metacam can be very costly, which is why buying Metacam from 365vet.co.uk can help you to reduce those monthly costs. 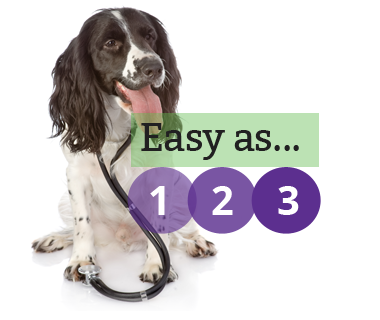 You can simply ask your vet to write a prescription for your dogs or cats Metacam. This then gives you the freedom to purchase the Metacam from a reliable but cheaper source such as 365vet.co.uk. You can even request a repeat prescription from your vet, which may allow you to purchase up to 6 months’ supply of Metacam from one prescription. Your vet will still request that you take the dog or cat for regular check-ups as ultimately it is your vet who is responsible for the care of the animal. Another animal medication which must be used under your vets care and requires a prescription is a product called Advocate. Pet owners often think that Advocate does not require a vet prescription, as it treats and prevents parasites such as fleas and worms. This misinterpretation often stems from the fact that many well-known brands of flea and worming treatment can be bought from retailers such as pet stores, pharmacists and other establishments without a vet’s prescription. However, Advocate contains different active ingredients and acts in different ways from these other treatments and has been legally classified by the VMD (Veterinary Medicines Directorate) as a prescription only medication. This classification ensures that your animal is only treated with Advocate when authorised by your vet, which safe guards your pet’s well-being. There are many ways in which your animal can get infested with these parasites. For example, the lungworm parasite which lives in the heart and major blood vessels supplying the lungs is carried by slugs and snails. Dogs can accidentally ingest the slugs and snails when rummaging through undergrowth, eating grass or drinking from puddles or outside water bowls. Once the snail or slug that is carrying the parasite has been ingested by a dog it can cause serious health problems. Other parasites such as fleas can be easily passed to your pet from another animal infested with adult fleas. Once established in the living area of your pet, the fleas will begin to multiply very quickly, in their different life stages, which include eggs, larvae and pupae. Some of these stages of fleas can happily remain dormant in your living environment for many months, before hatching and re-infesting your animals, and even giving you the odd bite or two! 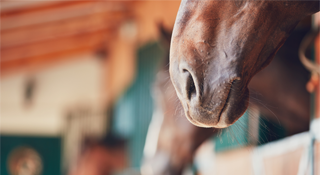 Such examples of parasites and the associated problems for you and your pet highlight the importance of using a vet prescribed product such as Advocate Spot-on. Advocate Spot-on contains two main active ingredients; imidacloprid and moxidectin. When Advocate is applied to the skin, the moxidectin is absorbed through the skin and enters the blood stream. It is then carried throughout the animals body through the blood stream, killing parasites that is comes into contact with. Imidacloprid the other active ingredient in Advocate spreads over the animal’s skin and coat by mixing with naturally occurring oils. With 24 hours of application imidacloprid has spread the entire surface of the body and coat. Any external parasites that are already present on the animal will be killed, and any new parasites attempting to jump onto the animal will be killed instantly, preventing further re-infestation. For Advocate to be effect in treating and preventing parasites it is important to follow you vets recommendation for use carefully. Typically, Advocate should be applied every month, as this maintains a high level of constant activity against both internal and external parasites. However your vet may prescribe different dosing intervals depending on what parasite he is treating your animal for. Advocate is applied dermally, which means that the contents of one pipette are applied to the animal’s skin, usually on the back of the neck between the shoulder blades. This prevents the animal from being able to groom the area and accidentally ingest any of the product. It is for these reasons that Advocate remains a prescription only animal medicine and means a vets prescription is mandatory when purchasing Advocate from anywhere other than your nominated vets practice. Like with Advocate, there are certain ranges of pet food that often need clarification of their classification too. There are two dominant ranges of ‘Prescription Diets’ for pets that despite their name do not require a vet’s prescription to buy online. These pet foods are designed specifically to compliment therapies (including pet medicines) to treat clinical conditions. Such clinical conditions, include kidney problems in cats, obesity in dogs and gastrointestinal diseases in both cats and dogs. Kidney problems are one of the most common health problems suffered by cats, particularly as they grow older. Kidney disease and problems that a cat acquires with age are usually the result of normal wear and tear, infection or injury. Alternatively cats can be born with kidney problems and diseases that are genetically inherited from one or both parents. Symptoms of kidney disease in the cat include weight loss, excess drinking, and a dull lifeless coat. If a cat is diagnosed with kidney disease there are a number of therapies and medicines, which can vastly improve and extend the life of the cat, and long term prognosis is relatively good in most cases. Although the management of kidney disease is a highly complex subject and requires a vet to make important decisions about the main treatment required, complimentary ‘prescription food’ is often highly recommended. Special ‘Prescription Diets’ to aid cats with renal disease can help to prolong the life of the cat. These Renal diets are complete foods that are formulated to support kidney function. The two major suppliers are this type of food are Royal Canin and Hills. The Royal Canin food to support kidney disease is called Renal, and can be purchased in both wet and dry forms. Royal Canin Renal cat food has a low levels of phosphorus which supports renal function and contains a tailored balance of vitamins, to help support the immune system and reduce the formation of oxalate stones. Similarly Hills produce a range of cat food called ‘k/d’. Hills k/d contains reduced levels of protein, has extra omega-3 fatty acids to improve blood flow to the kidneys and boasts a great palatability to encourage the cat to eat. Another popular ‘Prescription Diet’ food is for obesity in dogs. Obesity is a major problem in dogs and can have long-term effects on their health. Obese dogs are more likely to suffer from conditions such as arthritis, breathing difficulties, heart problems and diabetes. Obesity in dogs is predominately caused by overeating, however there are certain medical conditions that can increase obesity and weight gain can often be common in pets that have just been neutered. Hills and Royal Canin both provide ‘prescription diets’ that when fed as part of a weight loss scheme, help to encourage weight loss. It is important to note that although these diets do not a require a prescription and can be bought from our website, they should only be used on recommendation of your regular vet. This is because some of these diets can have contraindications with other medical conditions your pet may have, or may not suitable. Only your vet who has seen your pet and knows their history will be able to safely recommend the use of these diets.